China’s Dagong rating agency has given Gazprom Neft, Gazprom’s oil subsidiary an AA grade on liabilities in domestic currency, which is just one step below the highest investment rating. It also said company outlook was positive. 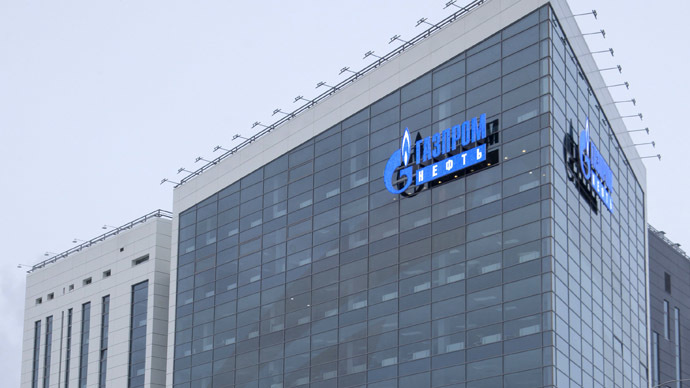 "A high rating level for Gazprom Neft reflects Dagong’s assessment of the company’s prospects in future development, its strong fundamentals, as well as the group’s balanced debt portfolio,”Gazprom Neftsaidin a press release. Other factors contributing to Dagong’s high assessment are the company’s strong financial position, a high level of profitability, increasing production and active support coming from Gazprom. Earlier in February Dagong gave Gazprom the highest investment grade rating at AAA with a long-term stable outlook. “Receiving a high rating from Dagong by Gazprom Neft represents significant credibility for the company with Asian investors and will expand our opportunities for further cooperation," Aleksey Yankevich, Gazprom Neft’s deputy general manager for Economics and Finance told RIA. Gazprom Neft’s credit rating of liabilities in foreign currency was estimated at AA-. The agency explains a one-point difference between the ratings for domestic and foreign currency liabilities by Russia’s limited access to foreign capital markets. However, given the negative external environment, Dagong experts suggest Gazprom Neft has sufficient resources to meet its debt obligations. Dagong’s decision is counter to the large downgrades by Western rating agencies. Two of the ‘Big Three’ agencies - Moody’s and S&P – have cut Russia’s sovereign rating to non-investment category, or ‘junk’ status. Along with cutting Russia’s sovereign rating, Moody’s downgraded the ratings of 15 regional and local governments in Russia, including Moscow and St. Petersburg, as well as of some of the country's oil and gas companies, such as Gazprom, Rosneft, Lukoil and Gazprom Neft - all with a negative outlook.